He more or less single-handedly invented 20th-century poetry, or modernism, or the kind of literature that is ambitious, intellectually and musically stirring, and often haunting. 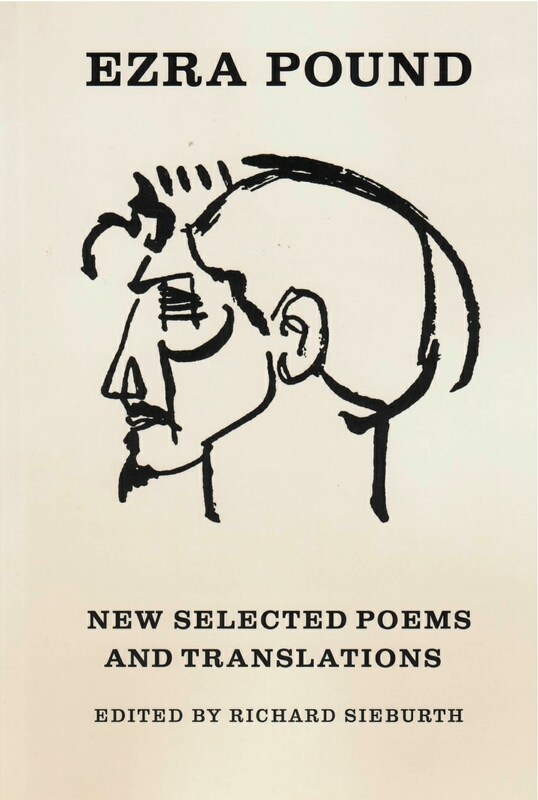 The essential collection of Ezra Pound’s poetry – newly expanded and annotated with essays by Richard Sieburth, T.S. Eliot, and John Berryman. This newly revised and greatly expanded edition of Ezra Pound’s Selected Poems is intended to articulate Pound for the twenty-first century. Gone are many of the “stale creampuffs” (as Pound called them) of the 1949 edition. Instead, new emphasis has been laid on the interpenetration of original composition and translation within Pound’s career. New features of this edition include the complete “Homage to Sextus Propertius” in its original lineation, early translations from Cavalcanti, Heine, and the troubadours, as well as late translations of Sophocles, and the Confucian Odes. As a lifelong expatriate, Pound parceled out his work to a variety of journals in England, America, France, and Italy. This new edition takes account of this complex publishing history by giving the poems in the chronological order of their original magazine publication. We can observe Pound as he first emerged onto the literary scene in the pages of Ford Madox Ford’s English Review and Harriet Monroe’s Chicago-based Poetry, and then as an agent provocateur for the avant-garde Little Review, Blast, and The Dial. Unlike all previous selections, this volume provides annotation to all the early poems as well as a running commentary on the later Cantos – indispensable to any reader wanting to follow Pound on his epic odyssey through ancient China, medieval Provence, the Italian Renaissance, the early American Republic, and the darkness of the twentieth century. The editor, Richard Sieburth, provides a chronology of Pound’s life, a new preface, and an informative afterword, “Selecting Pound.” Also included in the appendix are T. S. Eliot’s and John Berryman’s original introductions to Pound’s Selected Poems. … they contain many, many lines of great beauty… . Anyone who cares about poetry, never mind just Pound, should have it. Pound’s distinctive genius lay in his unbounded energy and exuberance.